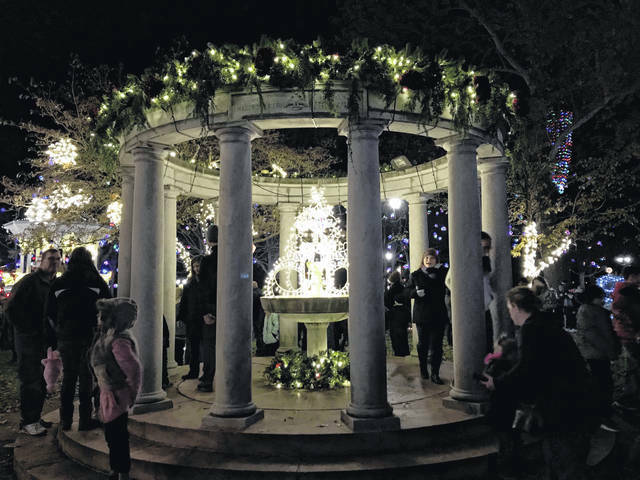 The Kerr Memorial Fountain lit up for the holiday. 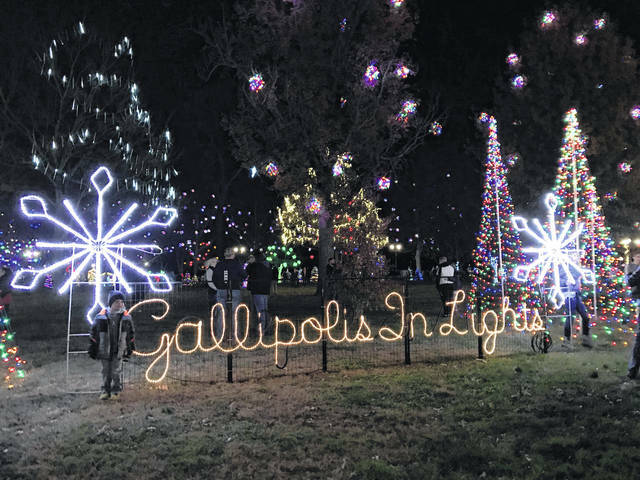 There are several displays tailor-made for photo opportunities at Gallipolis In Lights. 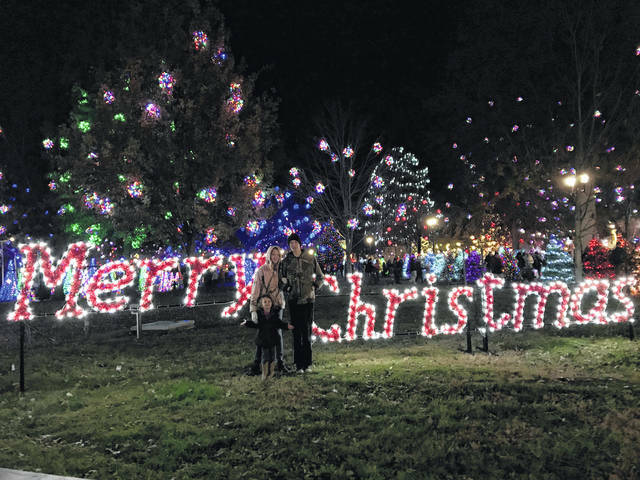 A winter wonderland of lights at Gallipolis City Park. The line was long for the Santa House on opening night. 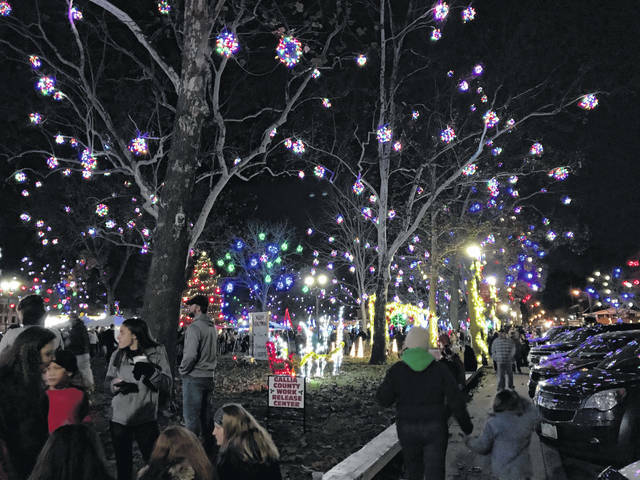 Trees of every size, shape and color are a part of Gallipolis In Lights. Visitors take in the tree walk of which there are well over 200 this year. 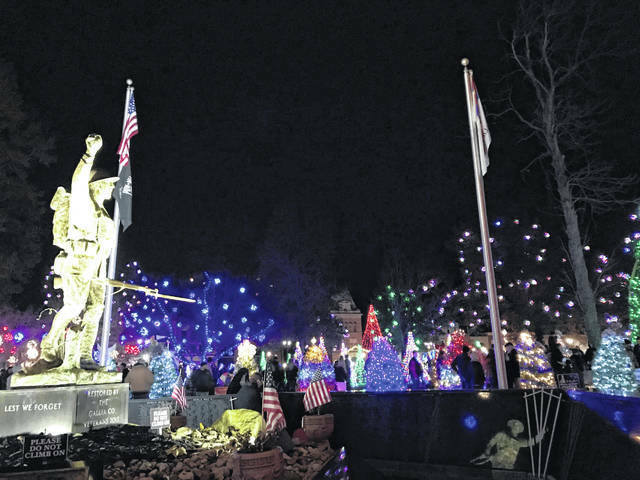 The Doughboy Monument with Gallipolis In Lights in the background. It appears as if icicles are raining down on visitors to this tree. The historic bandstand has recently been refurbished and is decorated with new greenery. There are 216 trees that line the tree walk this year. A trip to Gallipolis In Lights isn’t complete without a photo by the iconic welcome sign. 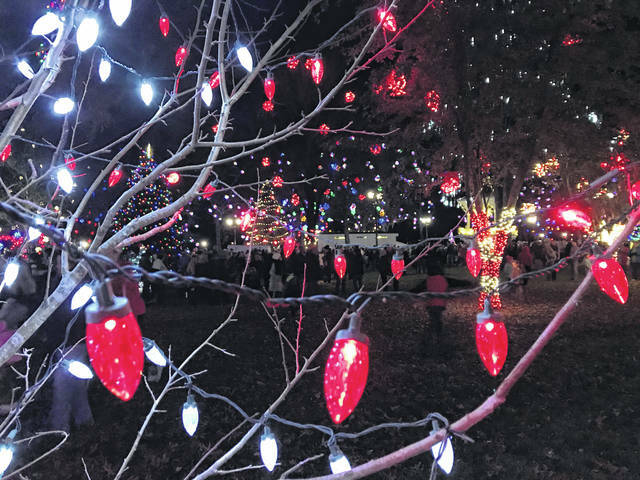 Around 1,800 light balls were made this year to hang from high above the heads of visitors to City Park. A scene from the fireworks show that coincided with the park lighting on Wednesday evening. 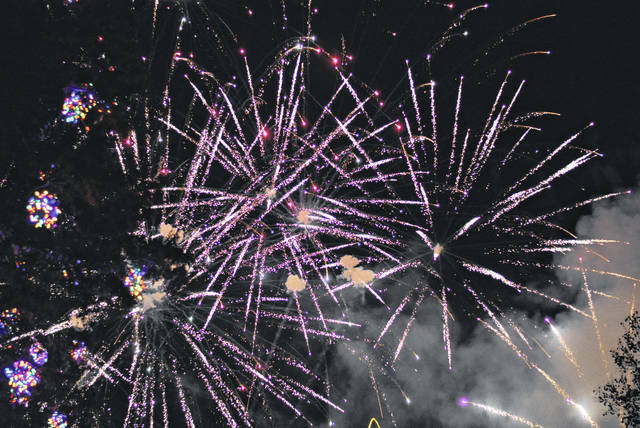 The fireworks show was sponsored by Holzer Health System. 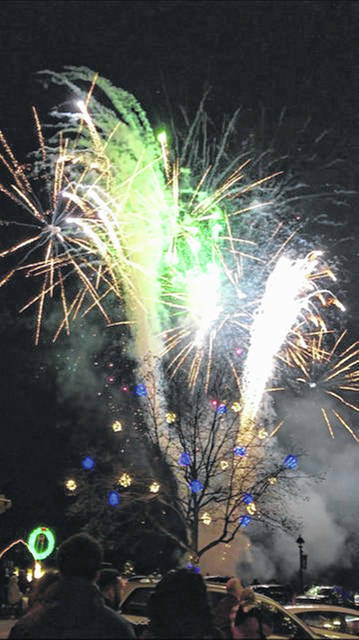 Fireworks light up the night sky as displays come to life in Gallipolis City Park. 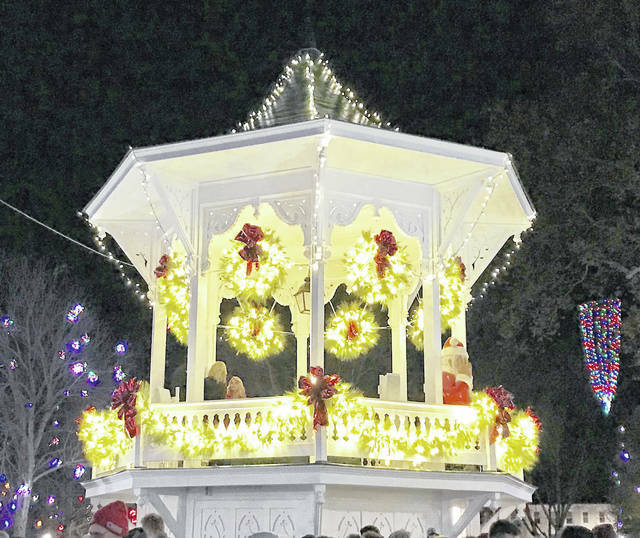 GALLIPOLIS — A huge crowd descended upon Gallipolis City Park Wednesday evening for the annual Gallipolis In Lights Park Lighting. 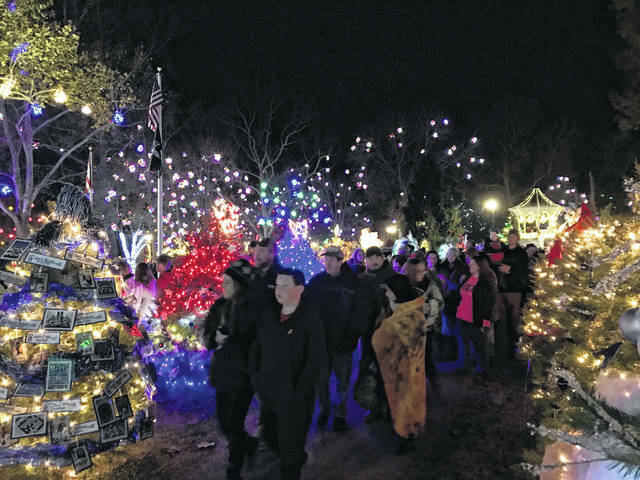 Serving as the unofficial start of the holiday season for many in the area, the lights began to slowly come on in the park as a fireworks show, sponsored by Holzer Health System, lit up the night sky over the Ohio River. 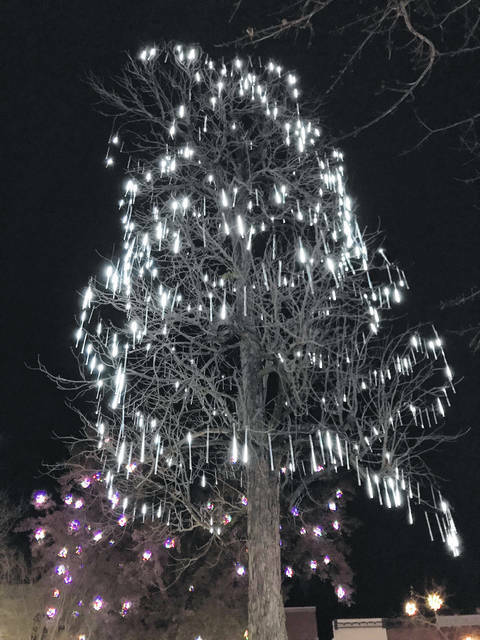 The light balls, which hang from the trees, have grown to around 1,800 this year, with some of that number serving as replacement light balls. The tree walk has also grown, going from around 160 last year to 216 this year. 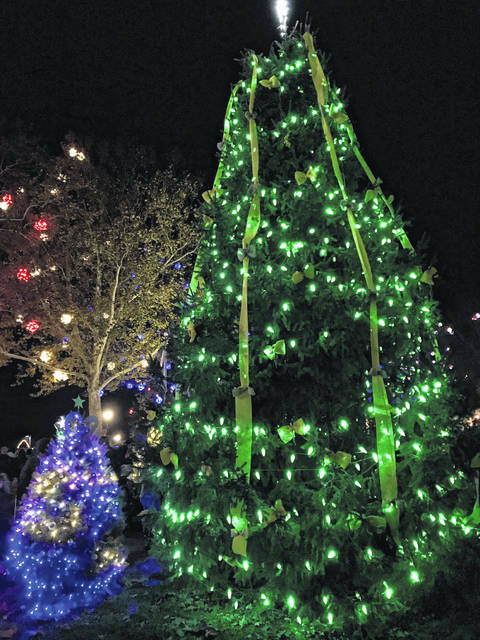 The trees are sponsored by individuals, families, churches, schools, etc., which personally decorate the trees, making them each stand out with their individual stories along the park’s walking paths. 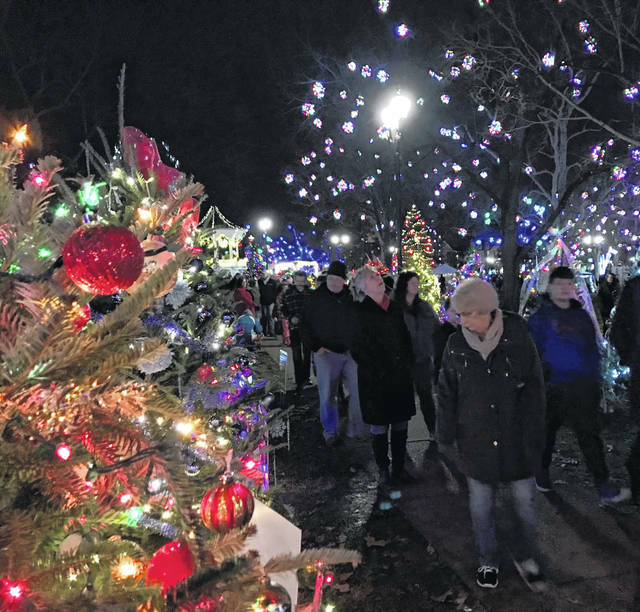 In addition, there are lighted archways, the Santa House, new greenery, an LED Christmas tree forest, strands and strands of lights and much more. 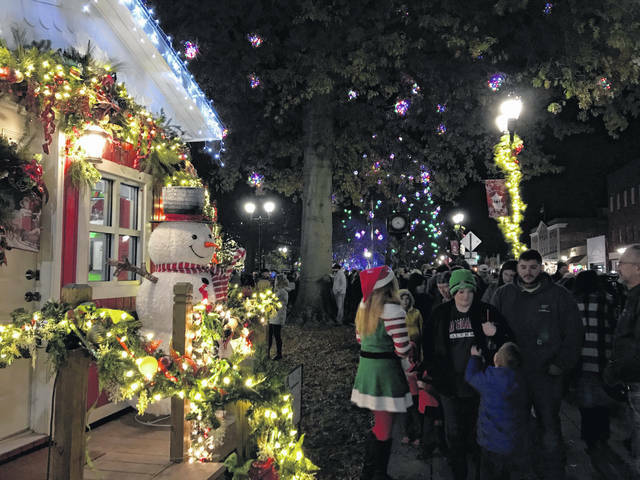 Gallipolis In Lights runs through the holiday season. Admission is free.